On this episode, tour a Greek Revival home, the "Elle Decor" showhouse, and more. Tune in! This Greek Revival home was originally built in 1827. Owner Ed takes us inside to show us this impressive home, which has been featured in multiple TV shows. Watch now. We go behind the door's of Elle Decor's beautiful showhouse on the 43rd floor of Miami's Paramount Bay building. Watch above. Interior Michael Rosenberg shows us how he went contemporary in his client's Park Avenue apartment. Watch now. 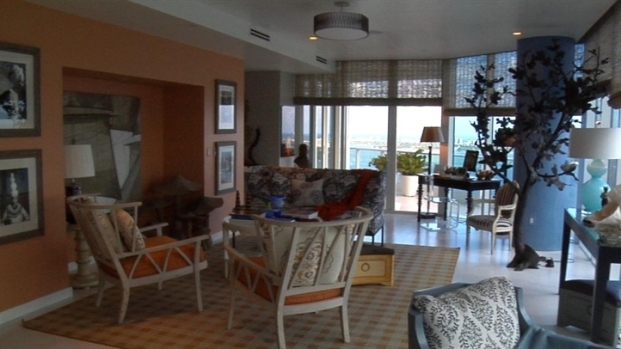 We go behind the door's of "Elle Decor's" beautiful showhouse on the 43rd floor of Miami's Paramount Bay building. This gorgeous home looks out over the tranquil Mystery Lake. Check it out! Watch now. George the Rescue crew head to the home of Laura Balun to give this inspiring woman a home rescue to make her life easier and surprise her with the sunroom of her dreams. Watch now.